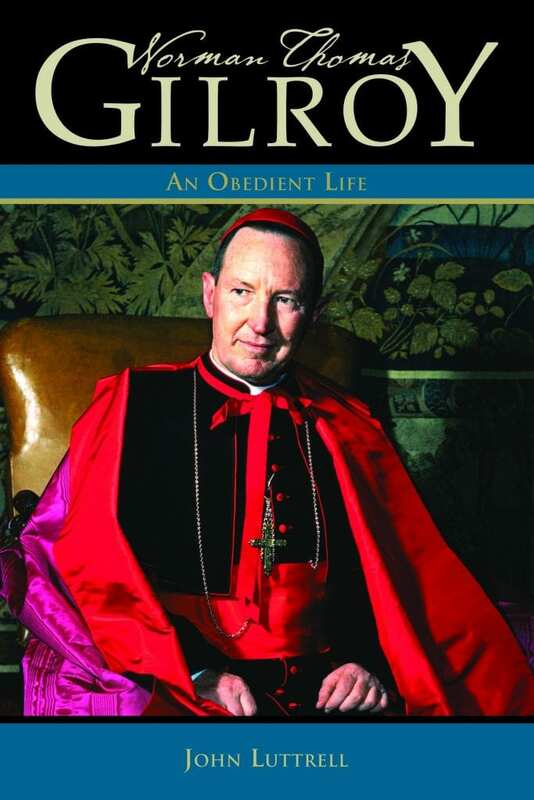 Authored by historian, John Luttrell FMS, this first extended biography of Cardinal Gilroy examines his life and his significance as a religious leader in twentieth century Australia and beyond. Photo: Supplied. The biography of the fifth Archbishop of Sydney, Cardinal Norman Thomas Gilroy, was launched last month on 26 October at the University of Notre Dame in Broadway. Current Archbishop of Sydney, Anthony Fisher OP, was present to launch the biography of his predecessor, with the date coinciding with the 40th anniversary of Cardinal Gilroy’s death in 1977. Born in 1896 in a rented cottage in the working class suburb of Glebe, Sydney, it was in St Benedict’s Church, Broadway that Cardinal Gilroy was baptised, received his first Communion and later, the Sacrament of Confirmation. His long career as Archbishop from 1940 to 1971 and his appointment as Cardinal in 1946 made him a name familiar to generations of Australians. He presided over the most populous Catholic diocese in Australia in an era shaped by World War II, post-war immigration, the Cold War and the protest movements of the 1960s. Some of the moments that stood out in his life included observing the Gallipoli landings in 1915, studying in Rome when Mussolini’s Black Shirts seized power in 1922, becoming bishop for the vast rural diocese of Port Augusta in 1935 and later, becoming the Archbishop of Sydney in 1940. Cardinal Gilroy received a knighthood in 1969 and the year after, hosted the first visit of a pope to Sydney in 1970. Authored by historian, John Luttrell FMS, this first extended biography of Cardinal Gilroy examines his life and his significance as a religious leader in twentieth century Australia and beyond. Emeritus Professor of History at the Catholic Institute of Sydney, Edmund Campion wrote of the work of Mr Luttrell on the first Australian-born Cardinal. “The first Australian-born Cardinal has at last achieved a full biography,” he noted. “Fresh research in unexpected places has given John Luttrell a rare insight into his life and times. “Even-handed and honest, he explores from the inside conflicts that once split Church and State. “This is a genuine portrait of the man who rose from postal clerk to prince of the Church,” he concluded.